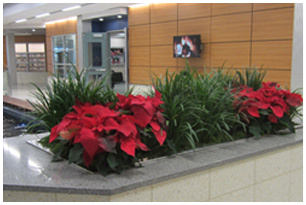 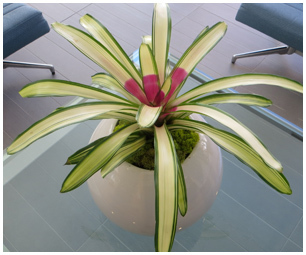 Keep your office continuously looking fresh and colorful with the addition of our flowering plant changes. 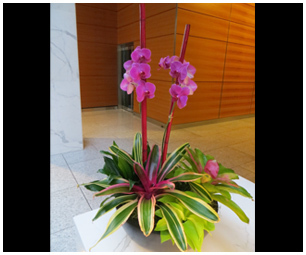 Our design consultants will work with you to create a visual impact perfect for any space and budget. 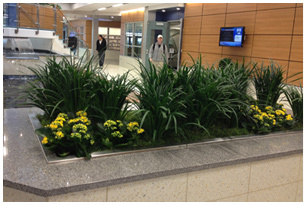 Contact us today to create a professional, welcoming atmosphere that will delight visitors and employees alike! 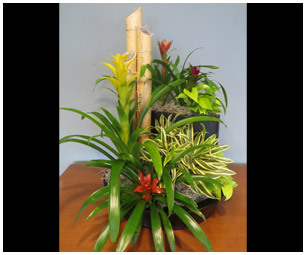 Introducing Plantasia's Color Bowls, a great alternative to the short-lived cut flower arrangement. 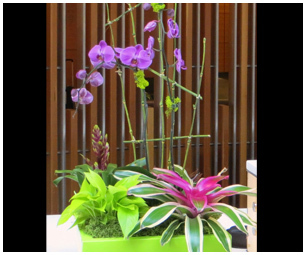 Through our creative combinations of unusual colorful foliage and flowering plants the possibilities are Endless.